For other people named Douglas Adams, see Douglas Adams (disambiguation). 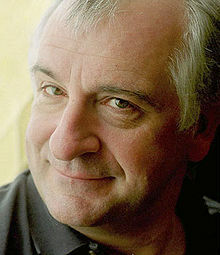 Douglas Noel Adams (11 March 1952 – 11 May 2001) was an English author, scriptwriter, essayist, humorist, satirist and dramatist. Adams was author of The Hitchhiker's Guide to the Galaxy, which originated in 1978 as a BBC radio comedy before developing into a "trilogy" of five books that sold more than 15 million copies in his lifetime and generated a television series, several stage plays, comics, a computer game, and in 2005 a feature film. Adams's contribution to UK radio is commemorated in The Radio Academy's Hall of Fame. Adams also wrote Dirk Gently's Holistic Detective Agency (1987) and The Long Dark Tea-Time of the Soul (1988), and co-wrote The Meaning of Liff (1983), The Deeper Meaning of Liff (1990), Last Chance to See (1990), and three stories for the television series Doctor Who; he also served as script editor for the show's seventeenth season in 1979. A posthumous collection of his works, including an unfinished novel, was published as The Salmon of Doubt in 2002. Adams was an advocate for environmentalism and conservation, a lover of fast cars, technological innovation and the Apple Macintosh, and a self-proclaimed radical atheist. Adams was born on 11 March 1952 to Janet (née Donovan; 1927–2016) and Christopher Douglas Adams (1927–1985) in Cambridge. The family moved to the East End of London a few months after his birth, where his sister, Susan, was born three years later. His parents divorced in 1957; Douglas, Susan, and their mother moved to an RSPCA animal shelter in Brentwood, Essex, run by his maternal grandparents. Adams attended Primrose Hill Primary School in Brentwood. At nine, he passed the entrance exam for Brentwood School. He attended the prep school from 1959 to 1964, then the main school until December 1970. Adams was 6 feet (1.8 m) by age 12 and stopped growing at 6 feet 5 inches (1.96 m). His form master, Frank Halford, said Adams's height had made him stand out and that he had been self-conscious about it. His ability to write stories made him well known in the school. He became the only student ever to be awarded a ten out of ten by Halford for creative writing, something he remembered for the rest of his life, particularly when facing writer's block. Some of his earliest writing was published at the school, such as a report on its photography club in The Brentwoodian in 1962, or spoof reviews in the school magazine Broadsheet, edited by Paul Neil Milne Johnstone, who later became a character in The Hitchhiker's Guide. He also designed the cover of one issue of the Broadsheet, and had a letter and short story published in The Eagle, the boys' comic, in 1965. A poem entitled "A Dissertation on the task of writing a poem on a candle and an account of some of the difficulties thereto pertaining" written by Adams in January 1970, at the age of 17, was discovered in a cupboard at the school in early 2014. On the strength of an essay on religious poetry that discussed the Beatles and William Blake, he was awarded an Exhibition in English at St John's College, Cambridge, going up in 1971. He wanted to join the Footlights, an invitation-only student comedy club that has acted as a hothouse for comic talent. He was not elected immediately as he had hoped, and started to write and perform in revues with Will Adams (no relation) and Martin Smith, forming a group called "Adams-Smith-Adams", and became a member of the Footlights by 1973. Despite doing very little work—he recalled having completed three essays in three years—he graduated in 1974 with a B.A. in English literature. After leaving university Adams moved back to London, determined to break into TV and radio as a writer. An edited version of the Footlights Revue appeared on BBC2 television in 1974. A version of the Revue performed live in London's West End led to Adams being discovered by Monty Python's Graham Chapman. The two formed a brief writing partnership, earning Adams a writing credit in episode 45 of Monty Python for a sketch called "Patient Abuse". The pair also co-wrote the "Marilyn Monroe" sketch which appeared on the soundtrack album of Monty Python and the Holy Grail. Adams is one of only two people other than the original Python members to get a writing credit (the other being Neil Innes). Adams had two brief appearances in the fourth series of Monty Python's Flying Circus. 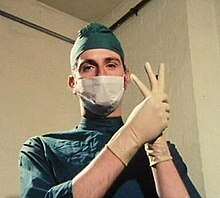 At the beginning of episode 42, "The Light Entertainment War", Adams is in a surgeon's mask (as Dr. Emile Koning, according to on-screen captions), pulling on gloves, while Michael Palin narrates a sketch that introduces one person after another but never gets started. At the beginning of episode 44, "Mr. Neutron", Adams is dressed in a pepper-pot outfit and loads a missile onto a cart driven by Terry Jones, who is calling for scrap metal ("Any old iron..."). The two episodes were broadcast in November 1974. Adams and Chapman also attempted non-Python projects, including Out of the Trees. At this point Adams's career stalled; his writing style was unsuited to the then-current style of radio and TV comedy. To make ends meet he took a series of odd jobs, including as a hospital porter, barn builder, and chicken shed cleaner. He was employed as a bodyguard by a Qatari family, who had made their fortune in oil. During this time Adams continued to write and submit sketches, though few were accepted. In 1976 his career had a brief improvement when he wrote and performed Unpleasantness at Brodie's Close at the Edinburgh Fringe festival. By Christmas, work had dried up again, and a depressed Adams moved to live with his mother. The lack of writing work hit him hard and low confidence became a feature of Adams's life; "I have terrible periods of lack of confidence [..] I briefly did therapy, but after a while I realised it was like a farmer complaining about the weather. You can't fix the weather – you just have to get on with it". Some of Adams's early radio work included sketches for The Burkiss Way in 1977 and The News Huddlines. He also wrote, again with Chapman, 20 February 1977 episode of Doctor on the Go, a sequel to the Doctor in the House television comedy series. After the first radio series of The Hitchhiker's Guide became successful, Adams was made a BBC radio producer, working on Week Ending and a pantomime called Black Cinderella Two Goes East. He left after six months to become the script editor for Doctor Who. In 1979, Adams and John Lloyd wrote scripts for two half-hour episodes of Doctor Snuggles: "The Remarkable Fidgety River" and "The Great Disappearing Mystery" (episodes eight and twelve). John Lloyd was also co-author of two episodes from the original Hitchhiker radio series ("Fit the Fifth" and "Fit the Sixth", also known as "Episode Five" and "Episode Six"), as well as The Meaning of Liff and The Deeper Meaning of Liff. The episodes authored by Adams are some of the few that were not novelised as Adams would not allow anyone else to write them, and asked for a higher price than the publishers were willing to pay. "Shada" was later adapted as a novel by Gareth Roberts in 2012 and "City of Death" and "The Pirate Planet" by James Goss in 2015 and 2017 respectively. Elements of Shada and City of Death were reused in Adams's later novel Dirk Gently's Holistic Detective Agency, in particular the character of Professor Chronotis. Big Finish Productions eventually remade Shada as an audio play starring Paul McGann as the Doctor. Accompanied by partially animated illustrations, it was webcast on the BBC website in 2003, and subsequently released as a two-CD set later that year. An omnibus edition of this version was broadcast on the digital radio station BBC7 on 10 December 2005. In the Doctor Who 2012 Christmas episode The Snowmen, writer Steven Moffat was inspired by a storyline that Adams pitched called The Doctor Retires. The Hitchhiker's Guide to the Galaxy was a concept for a science-fiction comedy radio series pitched by Adams and radio producer Simon Brett to BBC Radio 4 in 1977. Adams came up with an outline for a pilot episode, as well as a few other stories (reprinted in Neil Gaiman's book Don't Panic: The Official Hitchhiker's Guide to the Galaxy Companion) that could be used in the series. 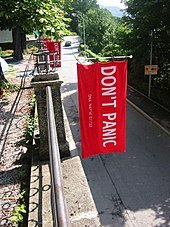 Towel Day 2005 in Innsbruck, Austria, where Adams first had the idea of The Hitchhiker's Guide. In the novels a towel is the most useful thing a space traveller can have. The annual Towel Day (25 May) was first celebrated in 2001, two weeks after Adams's death. According to Adams, the idea for the title occurred to him while he lay drunk in a field in Innsbruck, Austria, gazing at the stars. He was carrying a copy of the Hitch-hiker's Guide to Europe, and it occurred to him that "somebody ought to write a Hitchhiker's Guide to the Galaxy". Despite the original outline, Adams was said to make up the stories as he wrote. He turned to John Lloyd for help with the final two episodes of the first series. Lloyd contributed bits from an unpublished science fiction book of his own, called GiGax. Very little of Lloyd's material survived in later adaptations of Hitchhiker's, such as the novels and the TV series. The TV series was based on the first six radio episodes, and sections contributed by Lloyd were largely re-written. BBC Radio 4 broadcast the first radio series weekly in the UK in March and April 1978. The series was distributed in the United States by National Public Radio. Following the success of the first series, another episode was recorded and broadcast, which was commonly known as the Christmas Episode. A second series of five episodes was broadcast one per night, during the week of 21–25 January 1980. While working on the radio series (and with simultaneous projects such as The Pirate Planet) Adams developed problems keeping to writing deadlines that got worse as he published novels. Adams was never a prolific writer and usually had to be forced by others to do any writing. This included being locked in a hotel suite with his editor for three weeks to ensure that So Long, and Thanks for All the Fish was completed. He was quoted as saying, "I love deadlines. I love the whooshing noise they make as they go by." Despite the difficulty with deadlines, Adams wrote five novels in the series, published in 1979, 1980, 1982, 1984, and 1992. The books formed the basis for other adaptations, such as three-part comic book adaptations for each of the first three books, an interactive text-adventure computer game, and a photo-illustrated edition, published in 1994. This latter edition featured a 42 Puzzle designed by Adams, which was later incorporated into paperback covers of the first four Hitchhiker's novels (the paperback for the fifth re-used the artwork from the hardback edition). In 1980, Adams began attempts to turn the first Hitchhiker's novel into a film, making several trips to Los Angeles, and working with Hollywood studios and potential producers. The next year, the radio series became the basis for a BBC television mini-series broadcast in six parts. When he died in 2001 in California, he had been trying again to get the movie project started with Disney, which had bought the rights in 1998. The screenplay got a posthumous re-write by Karey Kirkpatrick, and the resulting film was released in 2005. Radio producer Dirk Maggs had consulted with Adams, first in 1993, and later in 1997 and 2000 about creating a third radio series, based on the third novel in the Hitchhiker's series. They also discussed the possibilities of radio adaptations of the final two novels in the five-book "trilogy". As with the movie, this project was realised only after Adams's death. The third series, The Tertiary Phase, was broadcast on BBC Radio 4 in September 2004 and was subsequently released on audio CD. With the aid of a recording of his reading of Life, the Universe and Everything and editing, Adams can be heard playing the part of Agrajag posthumously. So Long, and Thanks for All the Fish and Mostly Harmless made up the fourth and fifth radio series, respectively (on radio they were titled The Quandary Phase and The Quintessential Phase) and these were broadcast in May and June 2005, and also subsequently released on Audio CD. The last episode in the last series (with a new, "more upbeat" ending) concluded with, "The very final episode of The Hitchhiker's Guide to the Galaxy by Douglas Adams is affectionately dedicated to its author." Between Adams's first trip to Madagascar with Mark Carwardine in 1985, and their series of travels that formed the basis for the radio series and non-fiction book Last Chance to See, Adams wrote two other novels with a new cast of characters. Dirk Gently's Holistic Detective Agency was published in 1987, and was described by its author as "a kind of ghost-horror-detective-time-travel-romantic-comedy-epic, mainly concerned with mud, music and quantum mechanics". It was derived from two Doctor Who serials Adams had written. A sequel, The Long Dark Tea-Time of the Soul, was published a year later. This was an entirely original work, Adams's first since So Long, and Thanks for All the Fish. After the book tour, Adams set off on his round-the-world excursion which supplied him with the material for Last Chance to See. Adams played the guitar left-handed and had a collection of twenty-four left-handed guitars when he died (having received his first guitar in 1964). He also studied piano in the 1960s. Pink Floyd and Procol Harum had important influence on Adams' work. Adams's official biography shares its name with the song "Wish You Were Here" by Pink Floyd. Adams was friends with Pink Floyd guitarist David Gilmour and, on Adams's 42nd birthday, he was invited to make a guest appearance at Pink Floyd's concert of 28 October 1994 at Earls Court in London, playing guitar on the songs "Brain Damage" and "Eclipse". Adams chose the name for Pink Floyd's 1994 album, The Division Bell, by picking the words from the lyrics to one of its tracks, "High Hopes". Gilmour also performed at Adams's memorial service in 2001, and what would have been Adams's 60th birthday party in 2012. Douglas Adams created an interactive fiction version of HHGG with Steve Meretzky from Infocom in 1984. In 1986 he participated in a week-long brainstorming session with the Lucasfilm Games team for the game Labyrinth. Later he was also involved in creating Bureaucracy as a parody of events in his own life. Adams was a founder-director and Chief Fantasist of The Digital Village, a digital media and Internet company with which he created Starship Titanic, a Codie award-winning and BAFTA-nominated adventure game, which was published in 1998 by Simon & Schuster. Terry Jones wrote the accompanying book, entitled Douglas Adams' Starship Titanic, since Adams was too busy with the computer game to do both. In April 1999, Adams initiated the h2g2 collaborative writing project, an experimental attempt at making The Hitchhiker's Guide to the Galaxy a reality, and at harnessing the collective brainpower of the internet community. It was hosted by BBC Online from 2001 to 2011. In 1990, Adams wrote and presented a television documentary programme Hyperland which featured Tom Baker as a "software agent" (similar to the assistant pictured in Apple's Knowledge Navigator video of future concepts from 1987), and interviews with Ted Nelson, the co-inventor of hypertext and the person who coined the term. Adams was an early adopter and advocate of hypertext. Adams described himself as a "radical atheist", adding "radical" for emphasis so he would not be asked if he meant agnostic. He told American Atheists that this conveyed the fact that he really meant it. He imagined a sentient puddle who wakes up one morning and thinks, "This is an interesting world I find myself in – an interesting hole I find myself in – fits me rather neatly, doesn't it? In fact it fits me staggeringly well, must have been made to have me in it!" to demonstrate his view that the fine-tuned Universe argument for God was a fallacy. He remained fascinated by religion because of its effect on human affairs. "I love to keep poking and prodding at it. I've thought about it so much over the years that that fascination is bound to spill over into my writing." The evolutionary biologist and atheist Richard Dawkins uses Adams's influence to exemplify arguments for non-belief in his 2006 book The God Delusion. Dawkins dedicated the book to Adams, whom he jokingly called "possibly [my] only convert" to atheism and wrote on his death that "Science has lost a friend, literature has lost a luminary, the mountain gorilla and the black rhino have lost a gallant defender." Adams was also an environmental activist who campaigned on behalf of endangered species. This activism included the production of the non-fiction radio series Last Chance to See, in which he and naturalist Mark Carwardine visited rare species such as the kakapo and baiji, and the publication of a tie-in book of the same name. In 1992 this was made into a CD-ROM combination of audiobook, e-book and picture slide show. Adams and Mark Carwardine contributed the 'Meeting a Gorilla' passage from Last Chance to See to the book The Great Ape Project. This book, edited by Paola Cavalieri and Peter Singer, launched a wider-scale project in 1993, which calls for the extension of moral equality to include all great apes, human and non-human. In 1994, he participated in a climb of Mount Kilimanjaro while wearing a rhino suit for the British charity organisation Save the Rhino International. Puppeteer William Todd-Jones, who had originally worn the suit in the London Marathon to raise money and bring awareness to the group, also participated in the climb wearing a rhino suit; Adams wore the suit while travelling to the mountain before the climb began. About £100,000 was raised through that event, benefiting schools in Kenya and a black rhinoceros preservation programme in Tanzania. Adams was also an active supporter of the Dian Fossey Gorilla Fund. Since 2003, Save the Rhino has held an annual Douglas Adams Memorial Lecture around the time of his birthday to raise money for environmental campaigns. Adams bought his first word processor in 1982, having considered one as early as 1979. His first purchase was a Nexu. In 1983, when he and Jane Belson went to Los Angeles, he bought a DEC Rainbow. Upon their return to England, Adams bought an Apricot, then a BBC Micro and a Tandy 1000. In Last Chance to See Adams mentions his Cambridge Z88, which he had taken to Zaire on a quest to find the northern white rhinoceros. Adams's posthumously published work, The Salmon of Doubt, features several articles by him on the subject of technology, including reprints of articles that originally ran in MacUser magazine, and in The Independent on Sunday newspaper. In these Adams claims that one of the first computers he ever saw was a Commodore PET, and that he had "adored" his Apple Macintosh ("or rather my family of however many Macintoshes it is that I've recklessly accumulated over the years") since he first saw one at Infocom's offices in Boston in 1984. Adams was a Macintosh user from the time they first came out in 1984 until his death in 2001. He was the first person to buy a Mac in Europe, the second being Stephen Fry.). Adams was also an "Apple Master", celebrities whom Apple made into spokespeople for its products (others included John Cleese and Gregory Hines). Adams's contributions included a rock video that he created using the first version of iMovie with footage featuring his daughter Polly. The video was available on Adams's .Mac homepage. Adams installed and started using the first release of Mac OS X in the weeks leading up to his death. His very last post to his own forum was in praise of Mac OS X and the possibilities of its Cocoa programming framework. He said it was "awesome...", which was also the last word he wrote on his site. Adams used email to correspond with Steve Meretzky in the early 1980s, during their collaboration on Infocom's version of The Hitchhiker's Guide to the Galaxy. While living in New Mexico in 1993 he set up another e-mail address and began posting to his own USENET newsgroup, alt.fan.douglas-adams, and occasionally, when his computer was acting up, to the comp.sys.mac hierarchy. Challenges to the authenticity of his messages later led Adams to set up a message forum on his own website to avoid the issue. In 1996, Adams was a keynote speaker at the Microsoft Professional Developers Conference (PDC) where he described the personal computer as being a modelling device. The video of his keynote speech is archived on Channel 9. Adams was also a keynote speaker for the April 2001 Embedded Systems Conference in San Francisco, one of the major technical conferences on embedded system engineering. Adams moved to Upper Street, Islington, in 1981 and to Duncan Terrace, a few minutes' walk away, in the late 1980s. In the early 1980s Adams had an affair with novelist Sally Emerson, who was separated from her husband at that time. Adams later dedicated his book Life, the Universe and Everything to Emerson. In 1981 Emerson returned to her husband, Peter Stothard, a contemporary of Adams's at Brentwood School, and later editor of The Times. Adams was soon introduced by friends to Jane Belson, with whom he later became romantically involved. Belson was the "lady barrister" mentioned in the jacket-flap biography printed in his books during the mid-1980s ("He [Adams] lives in Islington with a lady barrister and an Apple Macintosh"). The two lived in Los Angeles together during 1983 while Adams worked on an early screenplay adaptation of Hitchhiker's. When the deal fell through, they moved back to London, and after several separations ("He is currently not certain where he lives, or with whom") and a broken engagement, they married on 25 November 1991. Adams and Belson had one daughter together, Polly Jane Rocket Adams, born on 22 June 1994, shortly after Adams turned 42. In 1999 the family moved from London to Santa Barbara, California, where they lived until his death. Following the funeral, Jane Belson and Polly Adams returned to London. Belson died on 7 September 2011 of cancer, aged 59. Adams died of a heart attack on 11 May 2001, aged 49, after resting from his regular workout at a private gym in Montecito, California. His funeral was held on 16 May in Santa Barbara. His ashes were placed in Highgate Cemetery in north London in June 2002. A memorial service was held on 17 September 2001 at St Martin-in-the-Fields church, Trafalgar Square, London. This became the first church service broadcast live on the web by the BBC. Two days before Adams died, the Minor Planet Center announced the naming of asteroid 18610 Arthurdent. In 2005, the asteroid 25924 Douglasadams was named in his memory. In May 2002, The Salmon of Doubt was published, containing many short stories, essays, and letters, as well as eulogies from Richard Dawkins, Stephen Fry (in the UK edition), Christopher Cerf (in the US edition), and Terry Jones (in the US paperback edition). It also includes eleven chapters of his unfinished novel, The Salmon of Doubt, which was originally intended to become a new Dirk Gently novel, but might have later become the sixth Hitchhiker novel. Other events after Adams's death included a webcast production of Shada, allowing the complete story to be told, radio dramatisations of the final three books in the Hitchhiker's series, and the completion of the film adaptation of The Hitchhiker's Guide to the Galaxy. The film, released in 2005, posthumously credits Adams as a producer, and several design elements – including a head-shaped planet seen near the end of the film – incorporated Adams's features. A 12-part radio series based on the Dirk Gently novels was announced in 2007. BBC Radio 4 also commissioned a third Dirk Gently radio series based on the incomplete chapters of The Salmon of Doubt, and written by Kim Fuller; but this was dropped in favour of a BBC TV series based on the two completed novels. A sixth Hitchhiker novel, And Another Thing..., by Artemis Fowl author Eoin Colfer, was released on 12 October 2009 (the 30th anniversary of the first book), published with the support of Adams's estate. A BBC Radio 4 Book at Bedtime adaptation and an audio book soon followed. On 25 May 2001, two weeks after Adams's death, his fans organised a tribute known as Towel Day, which has been observed every year since then. In 2018, John Lloyd presented an hour-long episode of the BBC Radio Four documentary Archive on 4, discussing Adams' private papers, which are held at St John's College, Cambridge. The episode is available online. A street in São José, Santa Catarina, Brazil is named in Adams' honour. ^ "The Radio Academy Hall of Fame". The Radio Academy. Archived from the original on 8 December 2011. Retrieved 8 December 2011. ^ "Douglas Adams: Master of his universe". The Independent. 19 April 2005. ^ Webb 2005a, p. 32. ^ "Terry Jones remembers Douglas Adams, 'the last of the Pythons'". The Times. 10 October 2009. ^ Young, Kevin (1 December 2006). "'Lost' gems from the TV archives". BBC News. Retrieved 9 May 2018. ^ Webb 2005a, p. 93. ^ Cornell, Paul; Day, Martin; Topping, Keith (1995). "The Pirate Planet". The Discontinuity Guide. London: Virgin Books. ISBN 0-426-20442-5. ^ Cornell, Paul; Day, Martin; Topping, Keith (1995). "City of Death". The Discontinuity Guide. London: Virgin Books. ISBN 0-426-20442-5. ^ Cornell, Paul; Day, Martin; Topping, Keith (1995). "Shada". The Discontinuity Guide. London: Virgin Books. ISBN 0-426-20442-5. ^ "A 1990s Doctor Who FAQ". Skepticfiles.org. Retrieved 11 March 2013. ^ Moffat, Steven (24 December 2012). "Doctor Who Christmas special: Steven Moffat, Matt Smith and Jenna-Louise Coleman reveal all". Radio Times. Retrieved 8 July 2013. ^ Adams, Douglas (2003). Geoffrey Perkins (ed. ), Additional Material by M. J. Simpson, ed. The Hitchhiker's Guide to the Galaxy: The Original Radio Scripts (25th Anniversary ed.). Pan Books. p. 10. ISBN 0-330-41957-9. ^ Webb 2005a, p. 120. ^ Internet Book List page, with links to all five novels, and reproductions of the 1990s paperback covers that included the 42 Puzzle. ^ Adams, Dirk Maggs, Page 356. ^ Gaiman, Neil (2003). Don't Panic: Douglas Adams & The Hitchhiker's Guide to the Galaxy (Second U.S. ed.). Titan Books. p. 169. ISBN 1-84023-742-2. ^ a b Mabbett, Andy (2010). Pink Floyd – The Music and the Mystery. London: Omnibus Press. ISBN 978-1-84938-370-7. ^ Silverman, Dave (1998–1999). "Interview: Douglas Adams". American Atheist. 37 (1). Archived from the original on 8 December 2011. Retrieved 16 August 2009. ^ Bunce, Kim (5 November 2006). "Observer, ''The God Delusion'', 5 November 2006". The Guardian. London. Retrieved 1 June 2009. ^ Dawkins, Richard (13 May 2001). "Lament for Douglas Adams". The Guardian. Retrieved 29 December 2012. ^ "The Ninth Douglas Adams Memorial Lecture". Save the Rhino International. Retrieved 27 July 2011. ^ Adams, Douglas and Mark Carwardine (1991). Last Chance to See (First U.S. Hardcover ed.). Harmony Books. p. 59. ISBN 0-517-58215-5. ^ Adams, Douglas (2002). The Salmon of Doubt: Hitchhiking the Galaxy One Last Time (First UK hardcover ed.). Macmillan. pp. 90–1. ISBN 0-333-76657-1. ^ "Craig Ferguson 23 February 2010B Late Late show Stephen Fry PT2". YouTube. 21 June 2010. Retrieved 27 July 2011. ^ "Adams's final post on his forums at". Douglasadams.com. Retrieved 1 June 2009. ^ "Discussions – alt.fan.douglas-adams | Google Groups". Google. Retrieved 11 March 2013. 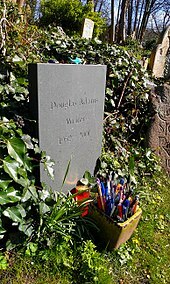 ^ Adams, Douglas (15 May 2001). "PDC 1996 Keynote with Douglas Adams". channel9.msdn.com. Channel 9. Retrieved 22 March 2013. ^ Cassel, David (15 May 2001). "So long, Douglas Adams, and thanks for all the fun". Salon. Salon Media Group. Archived from the original on 7 March 2008. Retrieved 10 July 2009. ^ a b "Islington People's Plaques". 25 July 2011. Archived from the original on 18 March 2012. Retrieved 13 August 2011. ^ Bowers, Keith (6 July 2011). "Big Three". SF Weekly. Archived from the original on 8 December 2011. Retrieved 8 December 2011. ^ "Obituary & Guest Book Preview for Jane Elizabeth BELSON". The Times. 9 September 2011. Archived from the original on 8 December 2011. Retrieved 8 December 2011. ^ Lewis, Judith; Shulman, Dave (24 May 2001). "Lots of Screamingly Funny Sentences. No Fish. – page 1". LA Weekly. Archived from the original on 8 December 2011. Retrieved 20 August 2009. ^ Murray, Charles Shaar (10 May 2002). "The Salmon of Doubt by Douglas Adams". The Independent. London. Retrieved 2 August 2009. ^ The Literator (5 January 2002). "Cover Stories: Douglas Adams, Narnia Chronicles, Something like a House". The Independent. London. Archived from the original on 1 August 2009. Retrieved 2 August 2009. ^ "Dirk Maggs News and New Projects page". Archived from the original on 9 December 2002. ^ Matthew Hemley (5 May 2009). "The Stage / News / Douglas Adams's final Dirk Gently novel to be adapted for Radio 4". The Stage. Retrieved 20 August 2009. ^ "BBC plans Dirk Gently TV series". Chortle.co.uk. 11 October 2009. Retrieved 11 October 2009. ^ Molloy, Mark (25 May 2016). "What is Towel Day? The Hitchhiker's Guide to the Galaxy creator Douglas Adams celebrated". The Telegraph. Retrieved 27 July 2017. ^ a b "Don't Panic! It's The Douglas Adams Papers, Archive on 4 - BBC Radio 4". BBC. Retrieved 30 March 2018. ^ "Travessa Douglas Adams". Cdef Blog (in Portuguese). 2 November 2015. Retrieved 30 March 2018. ^ Stockly, Ed (18 July 2018). "Thursday's TV highlights: 'Doctor Who: The Lost Episode' on BBC America". Los Angeles Times. Retrieved 20 July 2018. Adams, Douglas (1998). Is there an Artificial God?, speech at Digital Biota 2, Cambridge, England, September 1998. Adams, Douglas (2002). The Salmon of Doubt: Hitchhiking the Galaxy One Last Time. London: Macmillan. ISBN 0-333-76657-1. Dawkins, Richard (2003). "Eulogy for Douglas Adams," in A devil's chaplain: reflections on hope, lies, science, and love. Houghton Mifflin Harcourt. Simpson, M. J. (2003). Hitchhiker: A Biography of Douglas Adams (1st ed.). Boston, Mass. : Justin, Charles & Co. ISBN 1-932112-17-0. Webb, Nick (2005b). "Adams, Douglas Noël (1952–2001)", Oxford Dictionary of National Biography, Oxford University Press, January 2005. Retrieved 25 October 2005. Roberts, Jem (2014) "The Frood: The Authorised & Very Official Biography of Douglas Adams & The Hitchhiker's Guide To The Galaxy" Preface Publishing. ISBN 009959076X "The Frood"
Herbert, R. (1980). The Hitchhiker's Guide to the Galaxy (Book Review). Library Journal, 105(16), 1982. Adams, J., & Brown, R. (1981). The Hitchhiker's Guide to the Galaxy (Book Review). School Library Journal, 27(5), 74. Nickerson, S. L. (1982). The Restaurant at the End of the Universe (Book). Library Journal, 107(4), 476. Nickerson, S. L. (1982). Life, the Universe, and Everything (Book). Library Journal, 107(18), 2007. Morner, C. (1982). The Restaurant at the End of the Universe (Book Review). School Library Journal, 28(8), 87. Morner, C. (1983). Life, the Universe and Everything (Book Review). School Library Journal, 29(6), 93. Shorb, B. (1985). So Long, and Thanks for All the Fish (Book). School Library Journal, 31(6), 90. The Long Dark Tea-Time of the Soul (Book). (1989). Atlantic (02769077), 263(4), 99. Hoffert, B., & Quinn, J. (1990). Last Chance To See (Book). Library Journal, 115(16), 77. Reed, S. S., & Cook, I. I. (1991). Dances with kakapos. People, 35(19), 79. Last Chance to See (Book). (1991). Science News, 139(8), 126. Field, M. M., & Steinberg, S. S. (1991). Douglas Adams. Publishers Weekly, 238(6), 62. Dieter, W. (1991). Last Chance to See (Book). Smithsonian, 22(3), 140. Dykhuis, R. (1991). Last Chance To See (Book). Library Journal, 116(1), 140. Beatty, J. (1991). Good Show (Book). Atlantic (02769077), 267(3), 131. A guide to the future. (1992). Maclean's, 106(44), 51. Zinsser, J. (1993). Audio reviews: Fiction. Publishers Weekly, 240(9), 24. Taylor, B., & Annichiarico, M. (1993). Audio reviews. Library Journal, 118(2), 132. Good reads. (1995). NetGuide, 2(4), 109. Stone, B. (1998). The unsinkable starship. Newsweek, 131(15), 78. Gaslin, G. (2001). Galaxy Quest. Entertainment Weekly, (599), 79. So long, and thanks for all the fish. (2001). Economist, 359(8222), 79. Geier, T., & Raftery, B. M. (2001). Legacy. Entertainment Weekly, (597), 11. Passages. (2001). Maclean's, 114(21), 13. Don't panic! 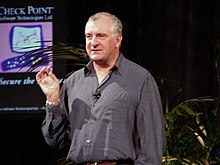 Douglas Adams to keynote Embedded show. (2001). Embedded Systems Programming, 14(3), 10. Ehrenman, G. (2001). World Wide Weird. InternetWeek, (862), 15. Zaleski, J. (2002). The Salmon of Doubt (Book). Publishers Weekly, 249(15), 43. Mort, J. (2002). The Salmon of Doubt (Book). Booklist, 98(16), 1386. Lewis, D. L. (2002). Last Time Round The Galaxy. Quadrant Magazine, 46(9), 84. Burns, A. (2002). The Salmon of Doubt (Book). Library Journal, 127(15), 111. Burns, A., & Rhodes, B. (2002). The Restaurant at the End of the Universe (Book). Library Journal, 127(19), 118. Kaveney, R. (2002). A cheerful whale. TLS, (5173), 23. Pearl, N., & Welch, R. (2003). The Hitchhiker's Guide To The Galaxy (Book). Library Journal, 128(11), 124. Preying on composite materials. (2003). R&D Magazine, 45(6), 44. Webb, N. (2003). The Berkeley Hotel hostage. Bookseller, (5069), 25. The author who toured the universe. (2003). Bookseller, (5060), 35. Osmond, A. (2005). Only human. Sight & Sound, 15(5), 12–15. Culture vulture. (2005). Times Educational Supplement, (4640), 19. Maughan, S. (2005). Audio Bestsellers/Fiction. Publishers Weekly, 252(30), 17. Hitchhiker At The Science Museum. (2005). In Britain, 14(10), 9. Rea, A. (2005). The Adams asteroids. New Scientist, 185(2488), 31. Most Improbable Adventure. (2005). Popular Mechanics, 182(5), 32. The Hitchhiker's Guide To The Galaxy: The Tertiary Phase. (2005). Publishers Weekly, 252(14), 21. Bartelt, K. R. (2005). Wish You Were Here: The Official Biography of Douglas Adams. Library Journal, 130(4), 86. Larsen, D. (2005). I was a teenage android. New Zealand Listener, 198(3390), 37–38. Tanner, J. C. (2005). Simplicity: it's hard. Telecom Asia, 16(6), 6. Nielsen Bookscan Charts. (2005). Bookseller, (5175), 18–21. Buena Vista launches regional site to push Hitchhiker's movie. (2005). New Media Age, 9. Shynola bring Beckland to life. (2005). Creative Review, 25(3), 24–26. Carwardine, M. (15 September 2007). The baiji: So long and thanks for all the fish. New Scientist. pp. 50–53. Czarniawska, B. (2008). Accounting and gender across times and places: An excursion into fiction. Accounting, Organizations & Society, 33(1), 33–47. Pope, M. (2008). Life, the Universe, Religion and Science. Issues, (82), 31–34. Bearne, S. (2008). BBC builds site to trail Last Chance To See TV series. New Media Age, 08. Arrow to reissue Adams. (2008). Bookseller, (5352), 14. Page, B. (2008). Colfer is new Hitchhiker. Bookseller, (5350), 7. I've got a perfect puzzle for you. (2009). Bookseller, (5404), 42. Mostly Harmless.... (2009). Bookseller, (5374), 46. Penguin and PanMac hitch a ride together. (2009). Bookseller, (5373), 6. My life in books. (2011). Times Educational Supplement, (4940), 27. Mueller, Rick and Greengrass, Joel (2002). Life, The Universe and Douglas Adams, documentary.